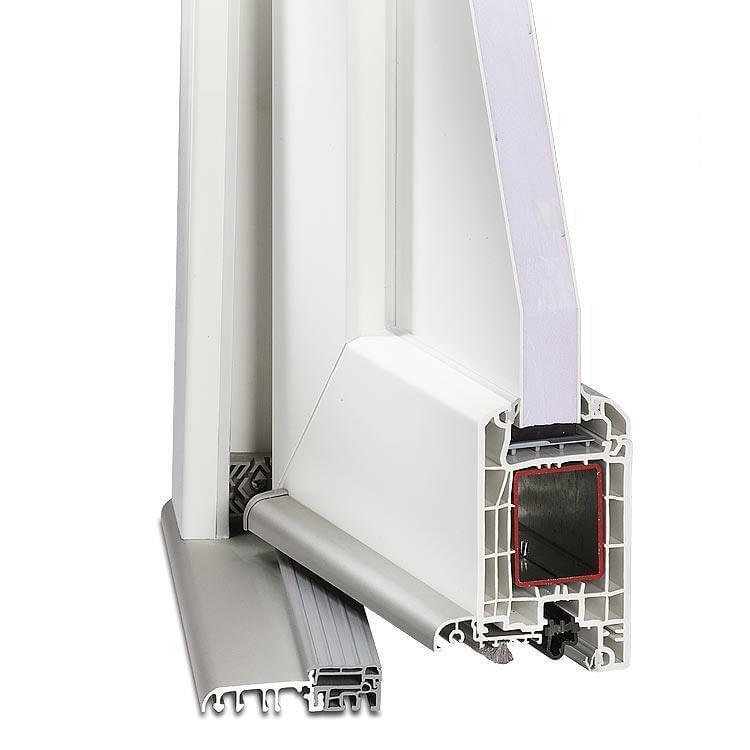 Exterior doors manufactured of PVC offer a variety of advantages and are therefore, today, amongst the most popular in their class: just like the windows, exterior doors are durable, well-insulated and safe. When it comes to their price-performance ratio they are virtually unbeatable: a similar version in wood or in aluminium would cost considerably more. 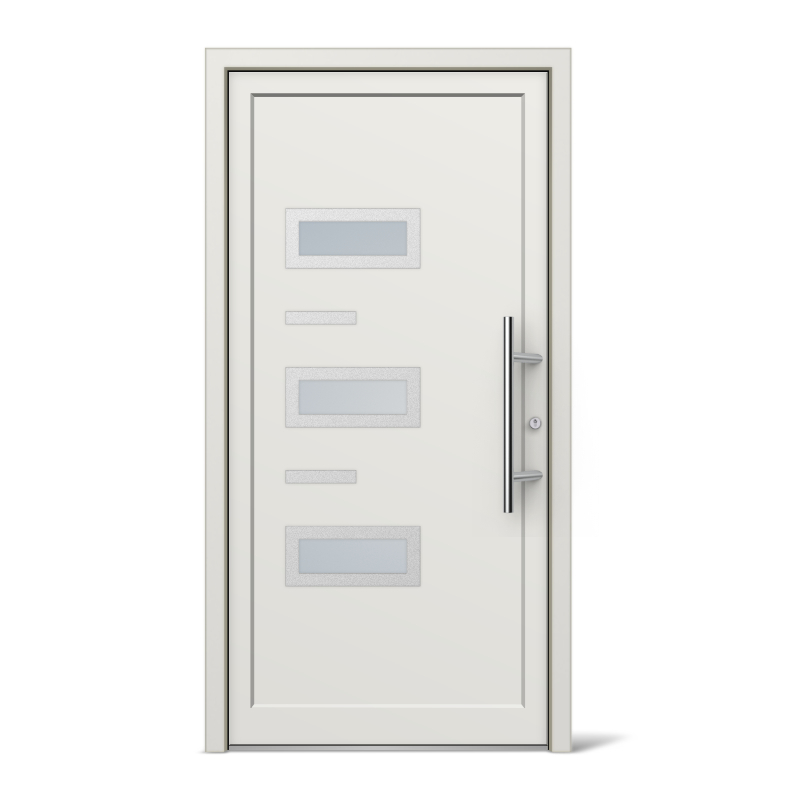 The Milwaukee model stands out from comparable doors mainly because of its discreet but futuristic design. Three horzontally placed glass elements set into metal frame allow sufficient light into the home, without permitting too much visibility within to passers-by. 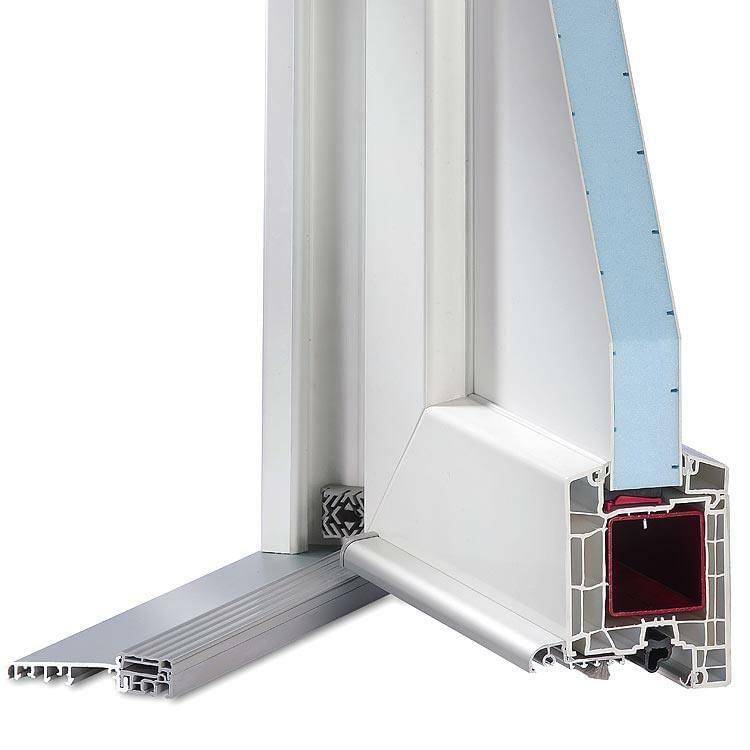 In order that the PVC exterior door Milwaukee can be even better adapted to one’s personal expectations, Windows24.com offers a wide choice of colours. All the colours of the RAL range can be ordered for these exterior doors and they can also be combined with a number of decor types. 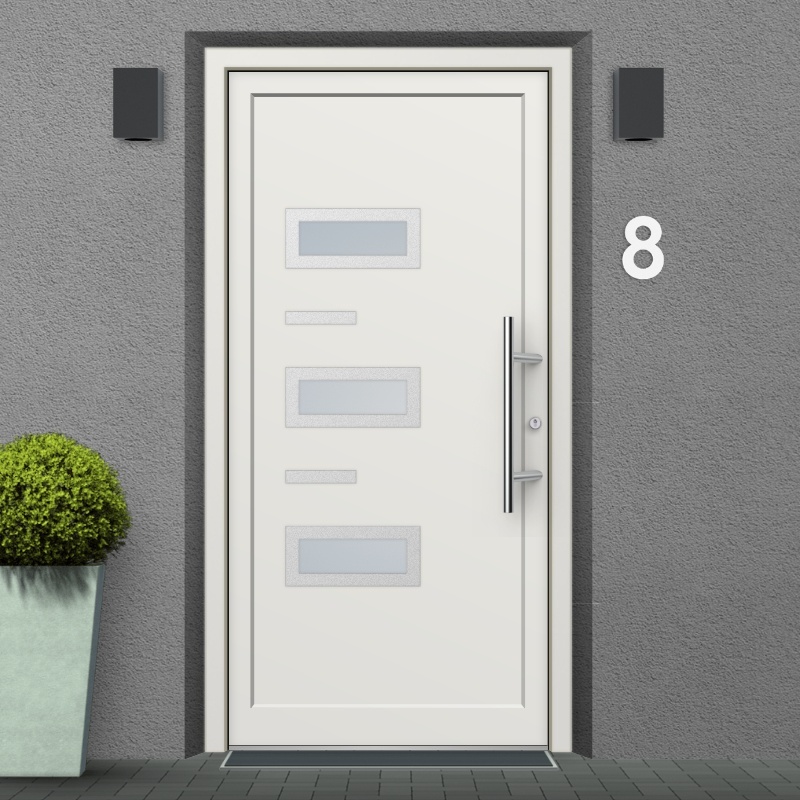 From the pleasant and inviting exterior door of a terraced house to the business-like entrance to a company premises – the Milwaukee PVC exterior door fits perfectly into any surroundings. Another plus factor is the fact that this model of door remains easy to manintain over a long life time. Most of the time it is sufficient to quickly clean the door with soap and water in order to bring back its shine. Whether you require information on the supplementary extras or a question concerning delivery of exterior doors: the Service Hotline at Windows24.com (0049 711 860 600) offers advice on all problems asssociated with windows and doors. Furthermore under Windows24.com you will find many more offers. 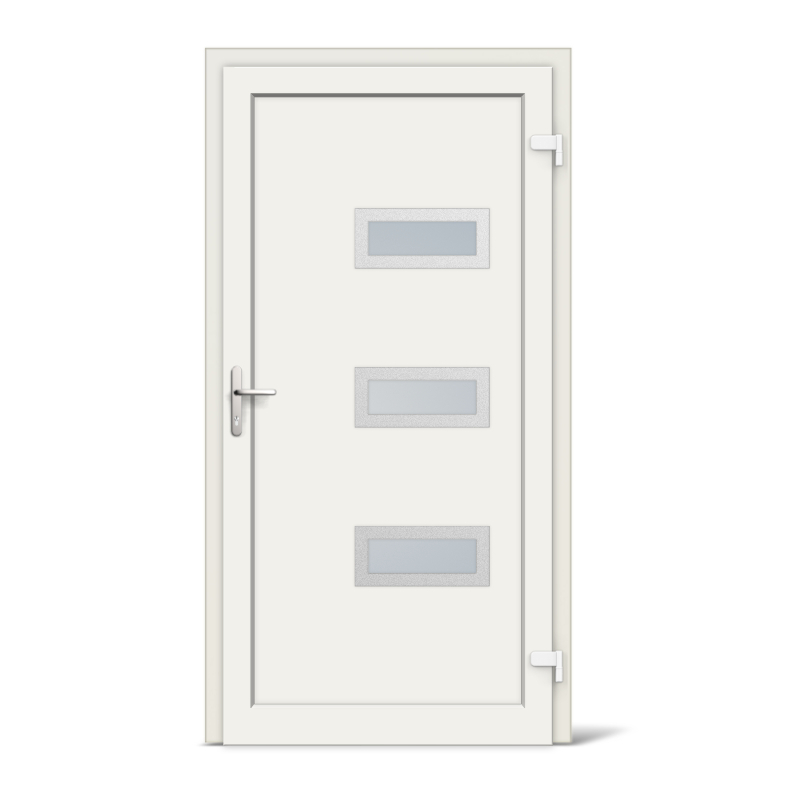 As well as exterior doors and windows you will find useful accessories and a variety of other necessary products. Entrance door Model Milwaukee comes in an asymmetric, modern style with three glass panels and is available in multiple colour variants.